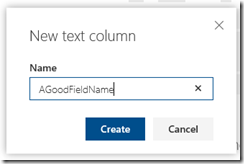 Microsoft have fixed column creation names in the modern library experience! 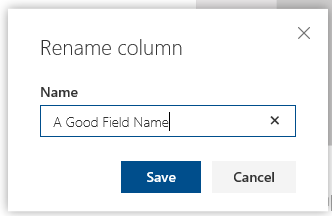 If you’ve ever been to one of my SharePoint Saturday or Conference sessions, you’ll know how much I like to beat on about Internal Name Pain. 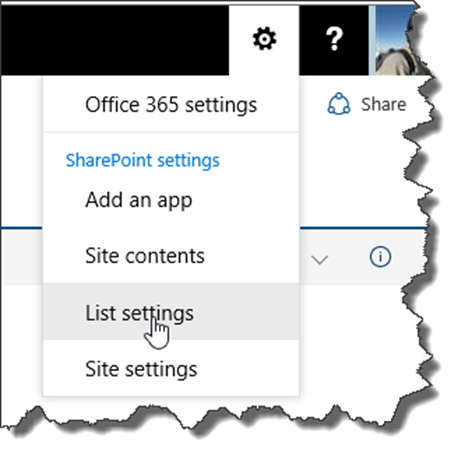 One of the worst culprits for this has always been the Quick Edit functionality that first reared its head in SharePoint 2013 (And still exists in Sp2016 (pre-Feature Pack 1)). I highlighted this in an earlier post back in July 2014 (which you can read here if you don’t know what I’m talking about.) 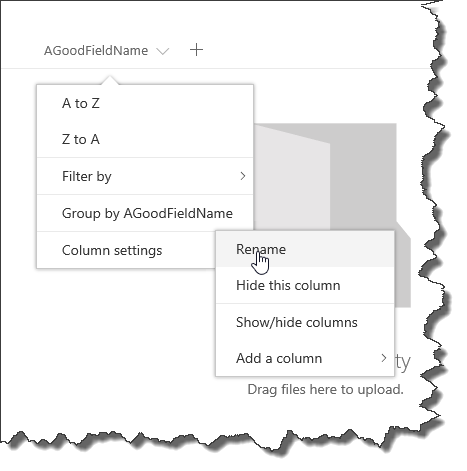 Thankfully, when Microsoft developed the new modern library experience in Office 365 they took the opportunity to resolve this issue in the column creation process and now it honours a nicely named column! 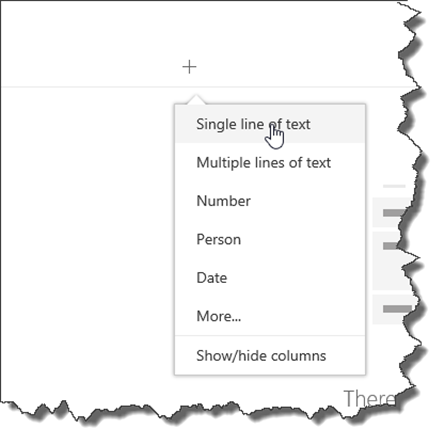 To see this in action, I’ve created a new list in Office 365 and we can see that it opens in the new modern list experience. 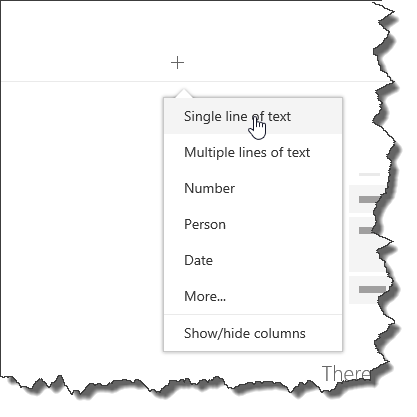 To quick add a column, we just click on the + sign. And hit create. 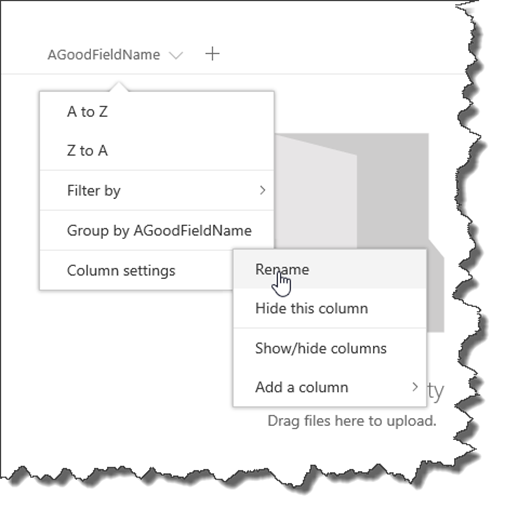 Once that’s created, click on the column dropdown, select settings and then Rename. 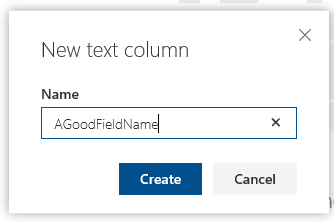 Add the spaces into the name to make it readable, and click Save. If we now click into the List Settings via the Ribbon bar Cog Button (I’m still not happy with the placement for this though!) 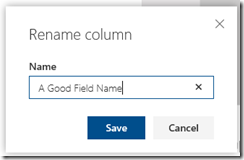 we can then take a look at the column configuration and check what SharePoint has done to the originally well named column. 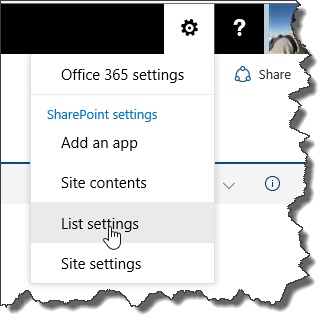 If we click on the column name in the List Settings page to go to the Column editing view and then check the URL, we can see that SharePoint has honoured the original concatenated name, a vast improvement I’m sure you’ll agree on the 4 random characters that the old Quick Edit functionality used to use. Whilst I’m still not 100% convinced on the user journey in the modern library experience, it’s nice to see improvements such as this, especially in sites where Managed Properties and Search may play an important role and well named columns makes life so much easier.